Erin's passion for dance began at age 3, spending her younger years training in jazz, tap and singing at Johnny Young Talent School. Continuing her love for dance in high school, Erin joined The Dance Collective to extend her training in ballet, pointe, contemporary, lyrical and hip hop. In Year 11 and 12 at Rossmoyne Senior High School received the Awards of Excellence in Dance Studies for the highest marks and during that time spent two weeks in at Sydney Dance Company training with renown Australian and international choreographers. Erin has performed for Cloudstreet (mini TV series), 'Fiesta' Choreographer’s Ball, WA Youth Awards, City to Surf, Perth Motor Show, Edmund Rice Camps for Kids Ball, Telethon and numerous flashmobs around Perth. She is also a qualified physiotherapist with a passion for working with young children. 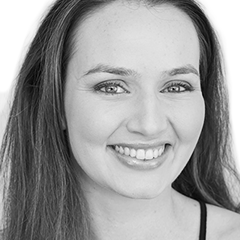 Erin is excited about her new teaching position at The Dance Collective and is looking forward to training the next generation of young dancers into confident and outstanding performers.